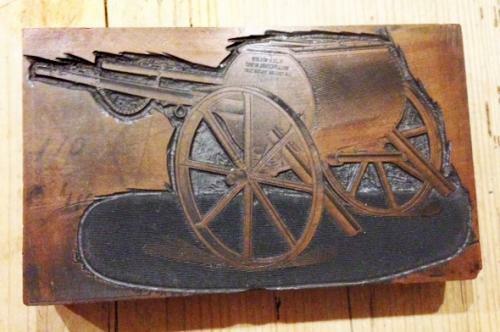 Boxwood Printer's Block of a Farm Water Carrier . Hand carved in intricate detail in Boxwood. Probably from a farm suppies catalogue. Black and white version shows how it prints.